He is known for his trademark hairdo, but now is seems that Donald Trump's swept-over style may not be as unique as first thought. 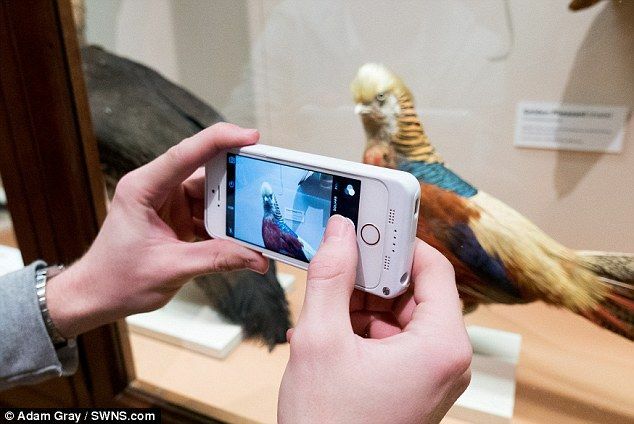 Visitors to Bristol Museum and Art Gallery have spotted that this stuffed golden pheasant bares a remarkable resemblance to the US Presidential hopeful. 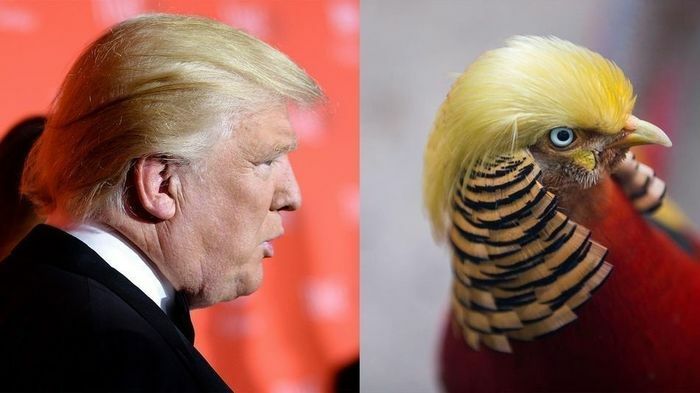 The male pheasant - real name ‘chrysolophus pictus’ - has a magnificent red plumage but it is its golden crest makes it resemble the politician. As well as its distinctive hairdo, the pheasant turns heads with its lengthy tail - making up two-thirds of its metre-long body. It also has a deep orange ‘cape’ which is spread like a fan to attract mates. Golden pheasants are common in their native Western China but, unlike Mr Trump’s popularity, numbers of the birds are declining. They are hard to spot in their natural forest habitat, so little is known about their behaviour in the wild. While Trump has a 577,583 strong petition trying to ban him from the UK, there are between 50 - 100 breeding pairs of his bouffant-clad doppelgängers in Britain. They can mainly be found in East Anglia and on the Isles of Scilly.